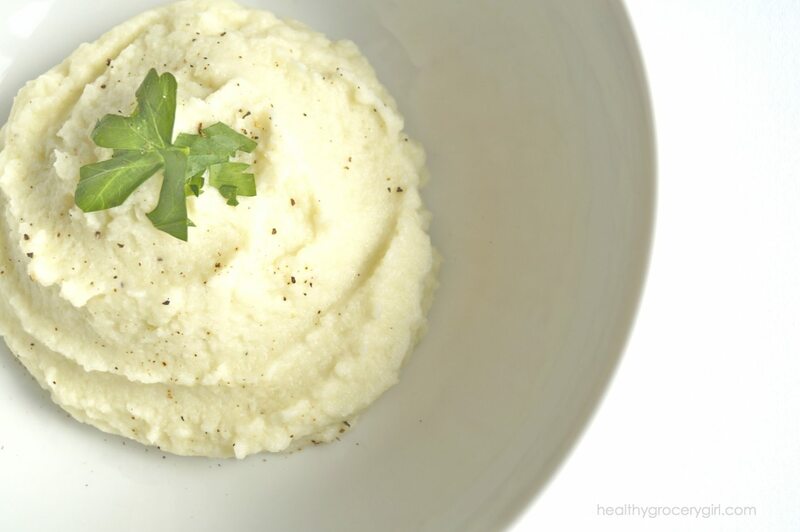 If you love mashed potatoes you will love this side dish! Using cauliflower instead of white potatoes is a fun alternative and boosts fiber intake! Blended with creamy coconut milk it will be hard to even notice a difference between this dish and traditional mashed white potatoes. Wash and chop cauliflower into 1-inch size pieces. In a large stockpot, add in about 10 cups of water and bring to a boil. Add cauliflower to a large a vegetable steamer, and place on top of stockpot to steam for 10 minutes or until soft and tender. Transfer steamed cauliflower into a high-speed blender or food processor; add in sea salt, pepper, coconut oil, coconut milk and optionally fresh herbs. Blend or pulse together until creamy. See how to make this dish! I prepared this recipe on the #OWNShow!